According to the Activity Log on my 3DS, I’ve spent about 45 hours or so with Fire Emblem: Awakening since it’s release in early February. This is my first Fire Emblem. I spent a very brief time with a previous game in the series, but it was so short that I can’t even recall what platform it was on. Needless to say, I didn’t really “get” Fire Emblem then, and this time around my experience with other games in the genre like Tactics Ogre, Final Fantasy Tactics, and Disgaea didn’t carry over. 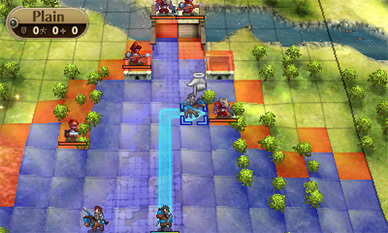 Fire Emblem is a different beast, and it demands a particular style of play which is not made immediately apparent. There’s an unusual learning curve, and that’s what I want to spend some time ruminating over in this week’s post. This is a fake choice. Everyone who plays this game should just pick classic. 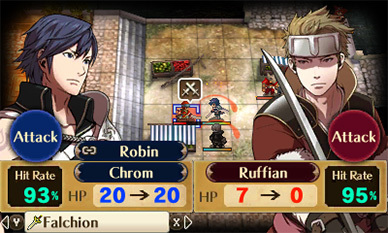 Ask anyone about what sets Fire Emblem apart, and they’ll tell you right away it’s the perma-death. When a non-essential character (all but two in this game) dies during a battle, they’re gone forever. This creates a peculiar strategic tension that is not present in other strategy RPGs. In those games, both you and the enemy are competing in a battle of attrition. Usually, all that matters is that you have the last man standing. When the next battle rolls around, your fallen units will rejoin the fight as if nothing happened. In Fire Emblem, only the enemy is playing by these rules. They’ll throw their men at you with reckless abandon, and you’ll have to maneuver your units defensively, probing the enemy, waiting for them to expose any weakness so you can place the optimal strike that allows your units to escape unharmed (hopefully). The game is a master-class in presenting all of this information to the player, too. You can turn on grids that show enemy movement, see hit percentages and damage from attacks, and even inspect enemy equipment. All the tools are there for you to use; the trick is just learning to use them. This might be too much for some people. 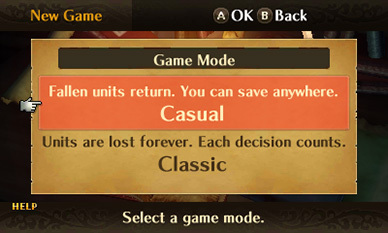 So much so, that the developers decided to throw in a casual mode in where perma-death is turned off, and your fallen units return to fight again. I was tempted to try it, if only because I knew it would save me a ton of time from having to restart maps after an accidental death, but in the end I decided to go for the “pure” Fire Emblem experience, and I’m glad for it. There were a lot of restarts, about 10 hours of them or so if my save clock is any indication. That’s what it took to learn the game, though, and now that I’ve learned it, I’m curious to see if a play through on Lunatic difficulty will present the challenge that is missing from the end game on normal difficulty where I am now. 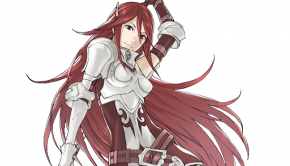 Fire Emblem does a pretty good job of surfacing all the data you need to be successful. There was a hump, somewhere around the one loss I accepted during the entire campaign (poor Gregor). After that hard-fought battle, I decided to focus on using only a core group of units rather than trying to make sure everyone got even amounts of game-time. Soon, thanks to the game’s ingenious support and marriage systems, my paired units were producing offspring who were sometimes obscenely powerful. There’s a story justification for how these children are fighting alongside their parents, by the way. The point is, that where before I was barely scraping by, now I am throwing characters like Yarne, Noire, and Morgan undefended into the midst of the enemy and watching as they cut down would-be attacker after attacker. The enemy seems uncertain as how to deal with these characters even, sometimes executing attacks that have no chance of hitting or doing any damage, only to get completely obliterated on the counterattack. It’s puzzling. 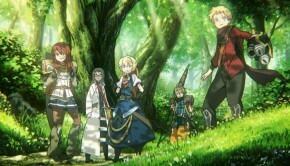 Awakening seems to just have broke itself at some point. All of the finely machined gears that were once meshing together to produce what in my opinion is the best game of the year so far just suddenly gummed up and came to a grinding halt. Usually, in a game where grinding is possible (hah, you see what I did there! ), you can just sort of grind away to level up your characters to the point where you can progress comfortably through the campaign. You can grind in Awakening, but I never really went out of my way to do it. It is as if the game just sort of broke on its own. I’ve had this experience in games before, notably with Skyrim and Bioshock. Both are games that initially I found challenging but were comically easy by the end. This seems counter to what anyone would expect from any game, let alone one that demands so much so early. When the climactic battle for the fate of the world is at hand, it should be an epic struggle, not a farcical speed-bump. By the end of the game, moves like this are far less suicidal. All of that said, I’ve quite enjoyed my time with the game so far. Even though the challenge is gone, I’m still getting a kick out of seeing all the characters and their interactions with each other. The sim elements are absolutely fantastic, and I’d love to spend some time talking about them now, but really that’s a big enough topic for its own entire post. Expect it sometime in the near future. It’ll be titled “My Furry Waifu Panne” or something like that (no, not really, not at all). Anyway, this is a fantastic game, and I think it’s been performing quite well sales-wise. 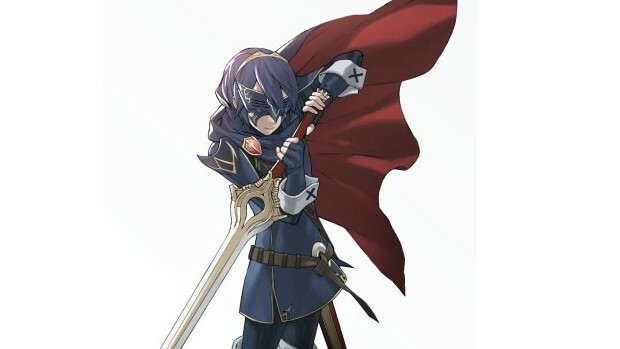 We haven’t had many Fire Emblem titles in the states, so hopefully the unanimous praise this title has been receiving will send the message loud and clear that we want these games over here. If you have a 3DS, you’re doing yourself a disservice by not checking this game out. If you don’t have a 3DS, this is a reason to get one.